Many banks offer online banking that enables customers to establish automatic bill payment and management. With automatic payments, you can ensure that your bills are paid on time, preventing late fees. Some banks also offer free apps or alerts that notify you via your mobile device when your account balance becomes low. Anyone with Internet access is only a few clicks away from some excellent online financial tools. Some of them can help you to keep track of household income and expenses, how money is being spent and how much you owe. You’ll be able to easily identify overspending, get recommendations for lowering bills, create weekly and monthly budgets, and plan for your financial future. Transfer your high-interest debts to a no-interest credit card. Although a credit card may not seem free, it can actually save you money when you enjoy a no-interest introductory rate. Many credit cards are available at 0 percent interest for as long as 18 months. Just make sure to transfer only the amount you can reasonably pay off during that time. Also, check to ensure that there are no annual or hidden fees associated with your new card. Have credit card problems? You may wish to talk with a counselor from a non-profit credit-counseling agency, such as the Association of Independent Consumer Credit Counseling Agencies. Counseling through this agency is free of charge, and it can help you learn how to create a balanced budget, negotiate lower credit card interest rates, and make an informed decision about whether to seek bankruptcy or foreclosure. 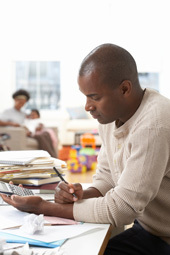 Sometimes, all a family needs to get back on track is a little financial assistance. Federal and state governments offer benefits to qualified applicants who need help paying rent, buying food, obtaining a cell phone, paying utility bills, or purchasing health insurance for their children. Some can get free help for filing taxes or paying for childcare. Several offices of government, such as the Department of Health and Human Services and the Department of Agriculture, operate financial assistance programs. You can evaluate your family’s eligibility for each program at Benefits.gov.